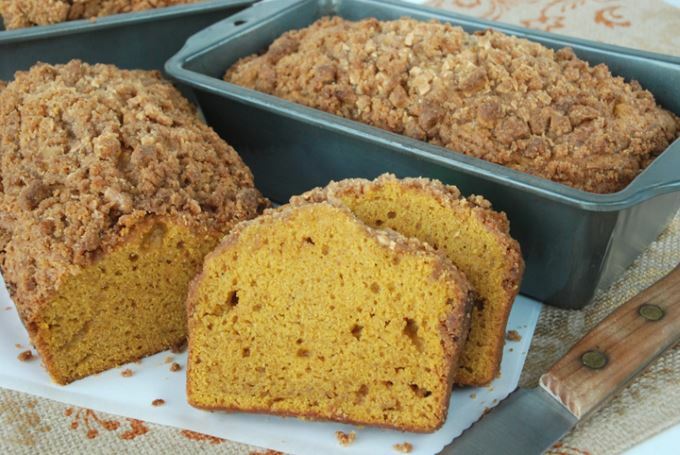 This pumpkin spice bread with white chocolate streusel is a winner. But, I didn’t actually win the ribbon. My youngest son, who was 7, did. For our county fair, his sisters were planning to enter lots of categories. So, he knew immediately what he wanted to take. He insisted on either banana or pumpkin bread; because they are his two all-time favorite recipes that I make. I insisted that I didn’t have any day-old bananas, a can of pumpkin, or time to help him. We had already mapped out our time in the precious few hours before everything was due to be driven to the fair. Being the mosquito he is, he pestered me with his oh so cute hazel eyes and a “Paleeez?” Don’t you always cave in to the youngest child in your family? Yeah, I caved. I agreed to buy the pumpkin, but he had to make it himself. He was sure he could handle it. That boy, with a little help here and there, actually made it and we dropped it off at the fair. Then we fervently prayed all the way home that everything we made would win blue ribbons. AND a supersized blue rosette ribbon that said “OUTSTANDING ENTRY”. Right then and there I knew I had the best pumpkin spice bread in the world! Uh, I mean in the county. Regardless, one of those judges thought a lot of this recipe. I hope you do too. It’s very moist. You definitely taste the pumpkin and spices. It’s dense, so you feel like you’re eating a muffin. The white chocolate streusel gives it an extra sweet crunch. The recipe makes three loaves. So you can eat a lot of it! be good and share a loaf with someone you love. It’s crazy easy to make. My 7 year old made it. Boy, did he make it big. Here are the ingredients. You probably have most of them at home already except the white chocolate, can of pumpkin, and pumpkin pie spice. 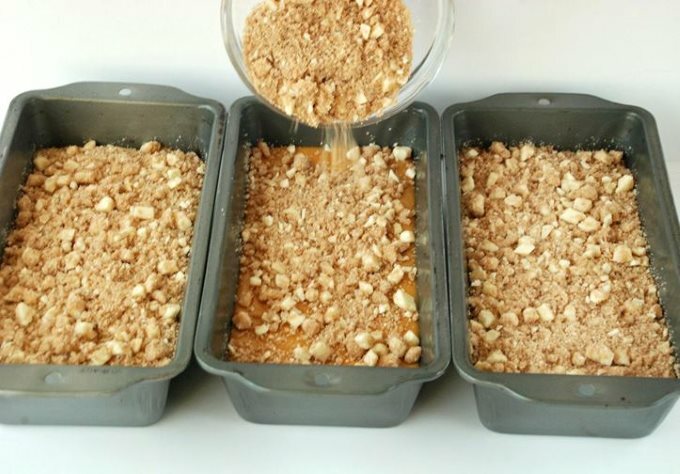 Using shortening, grease the sides and bottom of three 4½” x 8½” loaf pans. 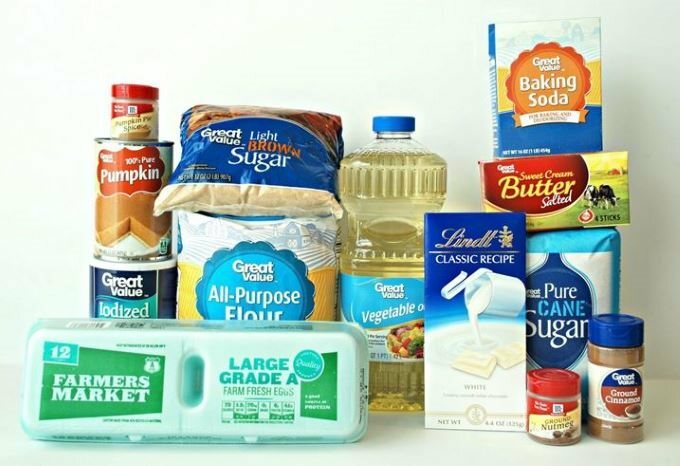 Combine sugar, oil, and eggs in a large bowl. 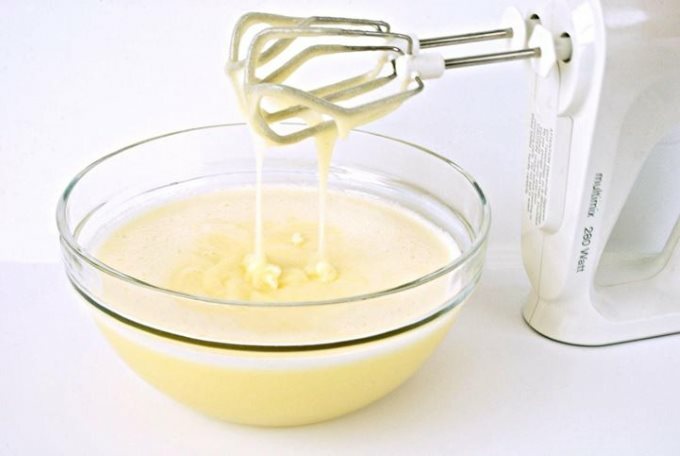 Using a mixer, blend them together until well combined. To that bowl, add the remaining ingredients. Blend with the mixer on medium speed, scraping the sides, until fully combined and thick. 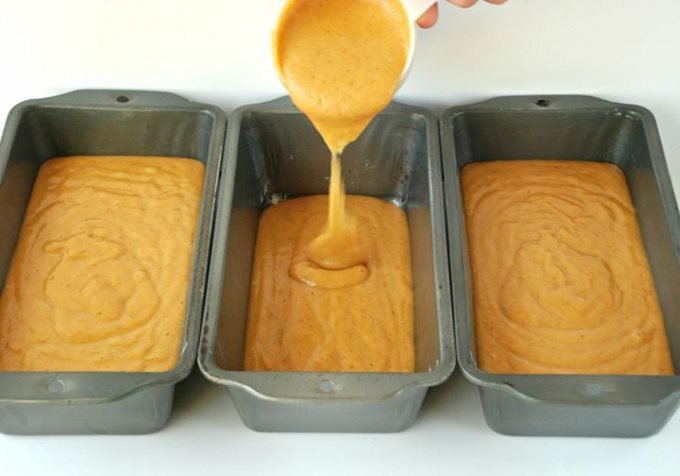 Equally divide the batter into the three loaf pans. Give each pan a little sideways jiggle to even out the batter. Bake all three pans on the middle to lower rack in the oven for 50 minutes. Test it by inserting a toothpick. If it comes out clean, it’s done. If not, continue baking and checking every 5 minutes for up to 10 minutes more. Don’t overbake. Let it cool completely before removing from pans. Makes 3 loaves.